THE VATICAN HAS confirmed that Pope Benedict XVI will not be attending the International Eucharistic Congress (IEC) in Dublin later this year. A short communique from the Vatican this morning confirmed that the Pontiff had nominated Cardinal Marc Ouellet, Prefect of the Congregation for Bishops, as the Pope’s personal Legate to the Congress taking place in Dublin in June. It had been speculated that the 84-year-old Pope would visit Ireland with the government saying that if the Pope accepted the organisers’ offer to attend the congress, it would extend a full diplomatic invitation to him. The event, which runs from 10 – 17 June at the RDS in Dublin, is expected to attract around 25,000 attendees each day and almost 2,000 people have volunteered to take part in the proceedings. The Congress takes place every four years with the most recent events taking place in Quebec in Canada in 2008 and Guadalajara in Mexico in 2004. Cardinal Ouellet is formerly the Archbishop of Quebec which hosted the last Eucharistic Congress. His appointment was welcomed by the Archbishop of Dublin Diarmuid Martin who said today: “As Archbishop of Quebec, Cardinal Ouellet had to face a very similar social and pastoral context to that which we have in Dublin, where traditional Catholicism was challenged by a rapid secularisation. “He was a strong voice for the Church in that changing situation. The Quebec Eucharistic Congress, though low key, impacted on Church and society, fostering unity of purpose and renewing evangelisation. Martin added that he had asked all parishes and Church organisations in the Archdiocese of Dublin to step up spiritual and pastoral preparation for the event, dubbed the ‘Spiritual Olympics’. “There are already activities under way sponsored by the Dublin Diocesan Preparatory Committee,” he said. “The Congress will be an occasion to show-case what is happening pastorally in the Archdiocese and to give a warm welcome to the thousands of guests coming from overseas. 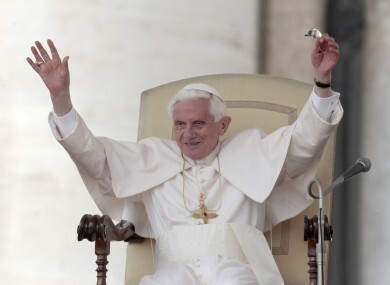 Email “Pope Benedict will not attend Eucharistic Congress in Dublin”. Feedback on “Pope Benedict will not attend Eucharistic Congress in Dublin”.